Siúcra and Catherine Fulvio’s recipe for blueberry poke cake makes for the perfect summer dessert. 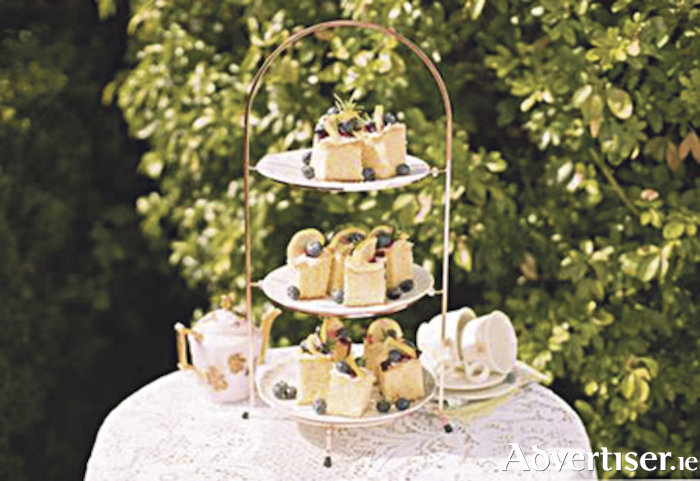 This recipe is simple and easy enough to make for any occasion, but also fancy enough to serve at special events or for afternoon tea on a warm sunny day. Line a 25cm square cake tin with baking parchment on the base and brush the sides with melted butter. Place the eggs and Siúcra sugar into a bowl and whisk until light and fluffy. Pour in the melted butter, lemon zest and juice and whisk for a further one minute. Sift the flour and baking powder together then carefully fold into the mix. Add just enough milk to form a soft cake batter. Pour the batter into the prepared tin and bake for about 25 to 30 minutes or until a skewer is inserted and it comes out clean. Leave to cool completely on a cooling rack. Place the butter, soft cream cheese into a mixer with the icing sugar and vanilla extract and whisk until light and fluffy. Add the lemon zest and juice. When the cake is completely cold, make large holes with a skewer or a straw randomly into the cake but not all the way down. Place the blueberries, orange juice and icing sugar into a blender and puree until smooth. Then pour into a saucepan and heat. When warm, pour this over the top of the cake and leave to cool before decorating. Spread the topping over, sprinkle blueberries on and arrange the sprigs of rosemary.